J.D. 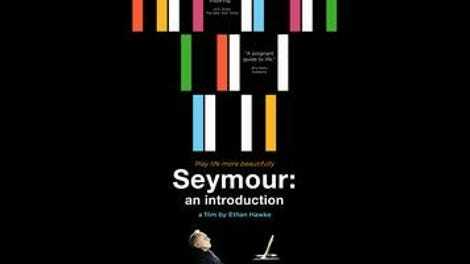 Salinger fans will be given pause by the existence of a movie called Seymour: An Introduction, as that particular story—a tortured swirl of self-conscious verbiage—is perhaps the least adaptable piece of fiction the author ever wrote. 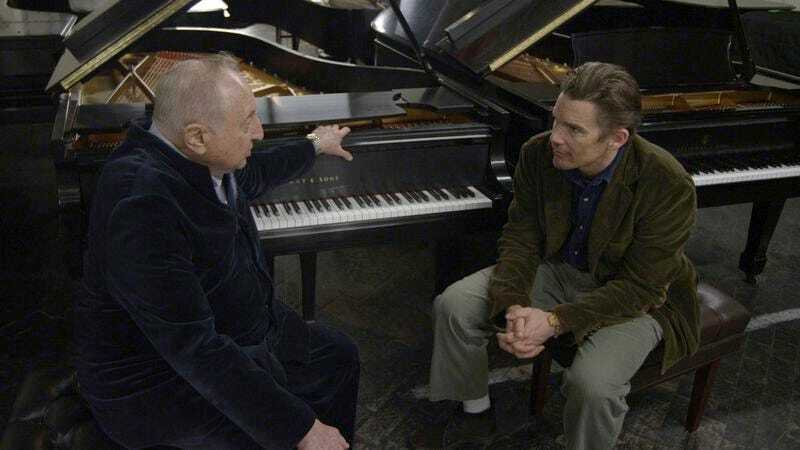 Thankfully, Ethan Hawke, directing his third feature (following Chelsea Walls and The Hottest State), has merely borrowed the title for this documentary portrait of Seymour Bernstein, a mostly retired concert pianist and still-active music teacher. Hawke and Bernstein met by chance at a dinner party a few years ago, instantly developing a rapport; Bernstein’s philosophies regarding art and life helped Hawke overcome a recent battle with crippling stage fright, which is perhaps why the actor-turned-director felt they deserved a wider audience. His instinct regarding Bernstein was sound—the octogenarian makes a compelling camera subject. Hawke’s instincts as a documentary filmmaker, however, are still a bit shaky. While Bernstein talks a little bit about his past, including the terror he experienced as a soldier in Korea and the anxiety he felt making his concert debut (which received a rave review in The New York Times), most of Seymour is devoted to his present experiences as a teacher. Hawke films him instructing various pupils, which he does with an ideal mix of affection and firmness; he loves these young people enough to be honest with them about their failings, but never once lapses into Whiplash-style browbeating. These scenes are interspersed with interview segments in which Bernstein waxes eloquent about the necessity of integrating one’s talent, whatever it may be, with one’s general approach to living. Having thought about this for decades, he’s remarkably articulate, even when speaking off the cuff; it’s easy to see how Hawke, randomly seated next to him at that dinner party, would have felt that he’d found a kindred spirit. Bernstein is such a warm, passionate, thoroughly lovable guy that everybody else who appears in the movie constantly sings his praises. (Hawke mostly stays off-camera himself, but we see a lot of New York Times architecture critic Michael Kimmelman, who studied with Bernstein as a boy, along with various younger students. They’re all effusive.) At least some of these hagiographic testimonials could have been cut in favor of, say, more of the fascinating footage shot at Steinway & Sons, where Bernstein auditions various grand pianos in preparation for his belated return to the concert stage in April 2012. The biggest problem with Seymour, though, is that Hawke can’t quite find a structure or rhythm for the movie as a whole. It’s only 81 minutes long, and never remotely boring, but the feeling that it’s due to end at any moment kicks in around the midpoint and persists right up until it actually does end, like the documentary equivalent of The Lord Of The Rings: The Return Of The King. In part, that’s because everything Bernstein says is so wise and epigrammatic that it sounds like an ideal capper. The film claims to be an introduction, but it’s really a long series of conclusions.